If you’re business-minded, you would agree that going with the seasonal demand is essential to lure in potential customers. This is clearly shown and applied by the vendors of the traditional putobumbong and bibinka during the Christmas season. In this article, I will tell you about the top 10 Christmas food business ideas that you can apply to your enterprise. Good Old Ham. 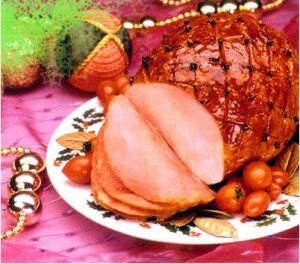 In this country especially, it’s the norm to celebrate Christmas Eve with ham. Most families have it on their tables at Noche Buena. It could be the hamon, or it could be any other special cut of meat. Perhaps pear-shaped ham, or something else. This is definitely an in-demand food product, and you’re sure to have customers with this in your inventory. Quezo de Bola. Like love and marriage and a horse and a carriage, a Filipino family usually cannot have the hamon unless there’s also the traditional quezo de bola or Edam cheese at the same table. I’m not exactly sure why Filipinos included this cheese to the tradition, since its semi-hard texture is very far from Cheddar cheese – which is the most common kind of cheese consumed out-of-holidays. However, this is a good idea for business owing thanks to tradition. Fruit Salad. 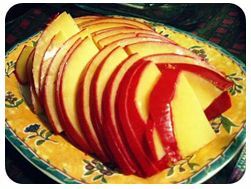 In a common Filipino Christmas Eve table, the appetizer would be the quezo de bola, the ham could be main course, but the fruit salad is usually the dessert. Fruit salads are easy to make, and very tasty and enjoyable. Lasagna. It may not be traditional, but BOY, it is good. It’s something that everyone would like to have a taste of every once in a while since honestly, to some folks out there, good ol’ ham may be getting too mainstream. So why not have pasta instead? Well, it may take some effort into making one, but once you made it, potential customers will want it. Lechon. Oh yes. Christmas does not automatically spell hamon and quezo de bola. Christmas is celebration. And clearly, celebration is lechon. Roasted pig is something everyone will enjoy, and it’s a delight that almost everyone craves for or will learn to crave for. Crispy Pata. Crispy and just simply delicious, this kind of meat is appealing to all people both young and (sometimes guiltily) to old folks. Though infamous for cholesterol it’s very popular for its taste and since it’s a special time of the year, it’s ok to have one every once in a while during occasions or vacation trips. That’s why they’re also “in” during this time of year. Turkey With Red Wine. Maybe some potential customers are feeling a tad fancy this holiday, and nothing’s stopping them from having a traditional “supposed-to-be-for-Thanksgiving” meal on Christmas instead of Thanksgiving since practically no one celebrates it here. However turkey‘s really good. It’s hard to prepare it, that’s why potential customers, who don’t have much time will come to you. Pies And Tarts. Not surprising to see but not very common, pies and tarts are the choice for dessert. Since fruit salad may be easier to make more people will come to you, if you offer these as a business, paying their money instead of time and effort. Get the picture? 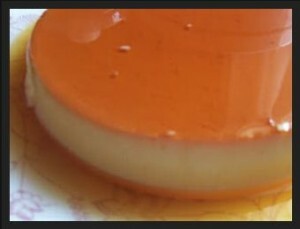 Leche Flan. I think it ranks second to fruit salad. Like it, it’s not unusual to see it out-of-holidays, but special food is for special times! If your business consists of leche flan, it’s probably going to be a hit since there are less people who know how to make it themselves that want it than people who know how to make it from scratch but are too lazy to make one for themselves. Kalamay. There’s a chance you don’t even know what this is, but to put it simply in a nutshell, it’s a sweetened rice product that’s an excellent dessert. It’s also an excellent business idea since it’s not common for an average household to make one themselves, so they’d rather purchase. So there’s a number 10. Most foods here are doable by scratch, but with today’s pace in life, so many people who cannot afford the time to create these themselves can only purchase them from somewhere else. So with the sale of the right product at the right time comes profit. Christmas is not only for business. Remember, it’s for celebrating. So whatever happens in your venture, focus on the true essence of Christmas. Jessica Francisco is a cheerful 25-year-old with an odd sense of fun. The least of her broad range of hobbies include swimming, hiking and listening to the music of Michael Jackson. Jessica is also one of the editors of Luke C. Roxas.